Explicit public health objectives should be included in planning and liquor licensing controls to prevent community development from being shaped by interest groups, a new Prevention Centre paper says. A review of Australian case law involving court decisions over disputed development applications for bottle shops, hotels, pubs and clubs found the rulings were overwhelmingly in favour of the industry interests. Of the 44 cases to go to court from 2010 to June 2015, 90% involved alcohol industry action against local or state governments and 77% of those resulted in outcomes in favour of the alcohol industry and the developments went ahead, often despite significant opposition from the local government and residents, the study showed. The paper, Judicial intervention in alcohol regulation: an empirical legal analysis, is published in the Australia New Zealand Journal of Public Health today. 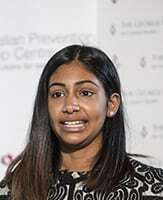 Its lead author is Jan Shanthosh of the George Institute, who is being supported by the Prevention Centre to complete her PhD in public health law. Mrs Shanthosh said current legislation limited the circumstances where the judiciary could restrict the rights of the alcohol industry to serve and sell alcohol, and there was no requirement for courts to consider health implications of planning decisions around alcohol. “There is a legislative vacuum which means the courts are having to interpret the law on the basis of what legislation is in place, which is primarily around competition with very little public health representation in the statutes,” she said. There is strong evidence that a higher density of liquor outlets and readily available cheap alcohol is associated with higher rates of alcohol-related crime and domestic violence. In another Prevention Centre research project, research Hannah Badland found the location and density of alcohol outlets had no impact on the long-term health of people living in better-off communities, but negatively impacted those living in areas of social disadvantage. Yet Mrs Shanthosh’s research found that public health evidence regarding potential alcohol-related harm had little or no influence in court. Instead, courts based their decisions on other considerations including market freedoms, amenity and the compatibility of industry’s proposal with existing planning controls. “Providing more legislative support for public health imperatives would ultimately mean local governments would be free to build communities that were healthy, equitable and prosperous, without facing the possibility that their decisions will be successfully challenged in the courts,” she said.